Christophe de Margerie, Chairman and CEO of French multinational integrated oil and gas company Total SA, died in a private plane crash at Vnukovo Airport in Moscow on October 20th. His plane collided with a snow removal machine. Russian investigators said on Tuesday that the driver of the snowplow that collided with the airplane (Dassault Falcon 50) was drunk at the time of the accident. Monsieur de Margerie and three crew members were found dead at the scene of the accident. He was returning from a top-level meeting that characterized both de Margerie and the company where he had dedicated all his professional life and led for the past seven years. Monsieur de Margerie had been at Russian Prime Minister Dmitry Medvedev’s Dacha (country house) just outside Moscow following a meeting of business leaders in Gorki. The two men had been discussing the implications of western sanctions and their effect on investments in Russia. 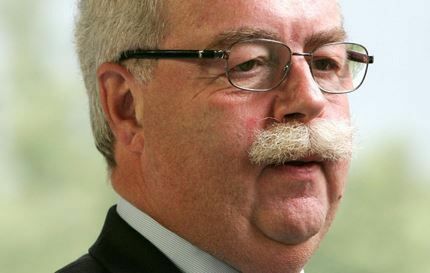 Nicknamed “Big Moustache” by journalists and employees, de Margerie and the company he worked for did not always see eye-to-eye with the government regarding foreign policy. Foreign policy refers to how a government deals with other nations, i.e., its plan of action. While political opinion was against doing business in Iraq and Iran, de Margerie and his company were active in those countries. In 2013, he and some ex-French government officials were acquitted of charges related to a UN embargo against Iraq when Saddam Hussein was President. In the summer, he had said that rather than worry about over-relying on Russian natural gas, Europe should focus on making those deliveries safer. (Source: Total) Christophe de Margerie joined Total in 1974 after graduating from the École Supérieure de Commerce in Paris. He worked in several different positions in the company’s Finance Department and Exploration & Production division. In 1995, de Margerie became President of Total Middle East, and joined the Group’s Executive Committee as President of the Exploration & Production division four years later. In 2000, he became Senior Executive Vice President of Exploration & Production of TotalFinaElf group. Two years later he was promoted to President of the Exploration & Production division of Total. In 2006, he became a member of the Board of Directors, and then CEO of Total in February 2007. In May 2010, he became CEO and Chairman of the group.